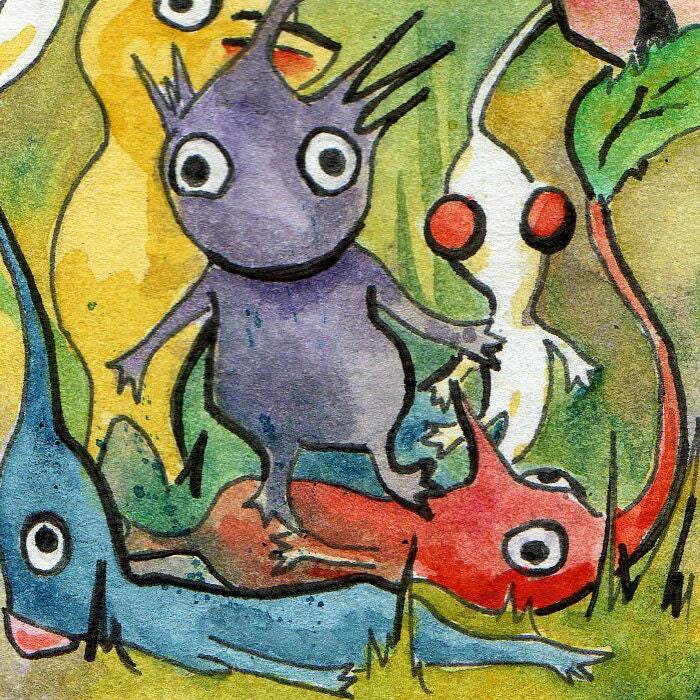 If Pikmin knew about planking, I bet they'd be all over that fad. 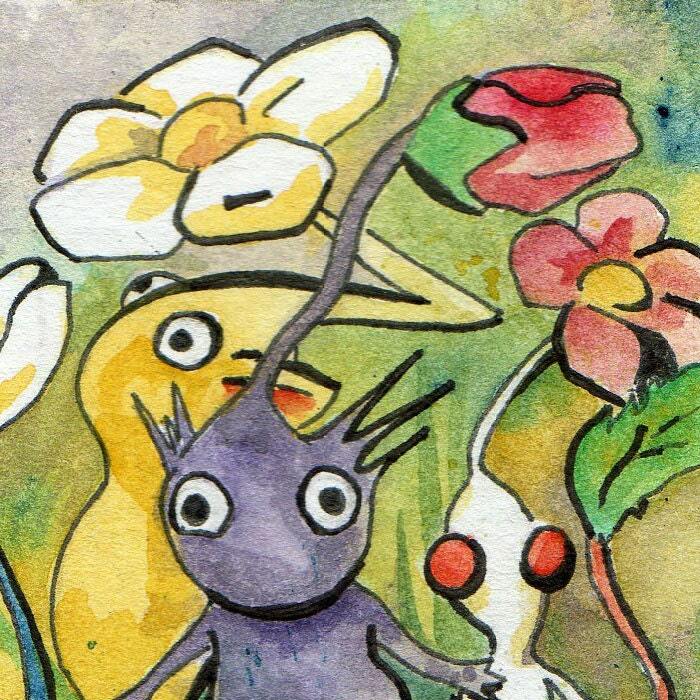 This pile of Pikmin plants is quite the tongue twister. 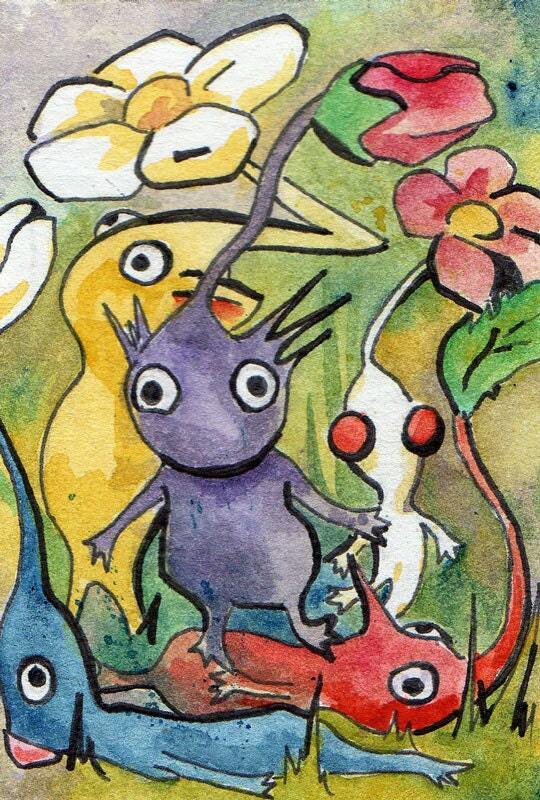 Peter Piper picked a peck of pickled Pikmin. 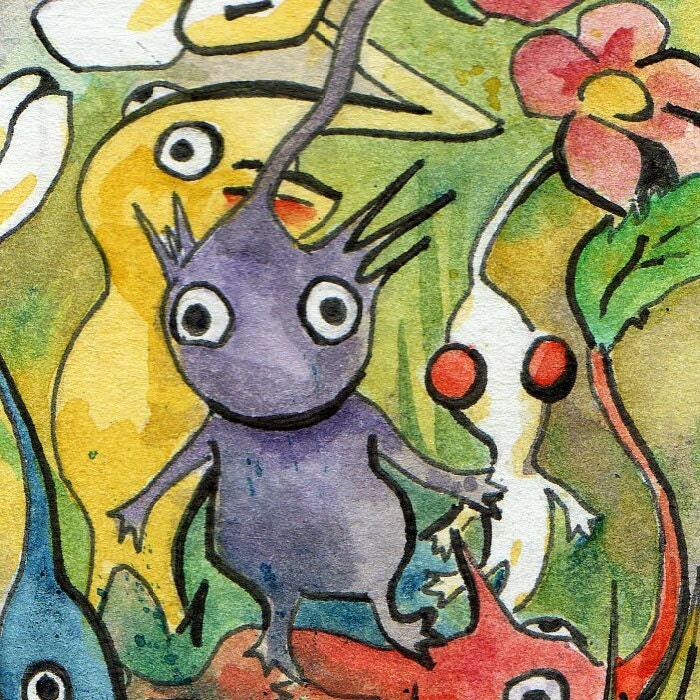 The original painting was inspired by Nintendo's Pikmin. Pikmin was the Etsy Gamers' game of the month for October 2011.